A constraint that evaluates to true when both of the other constraints evaluate to true. Get the constraint that is on the left-hand-side of the AND operation. 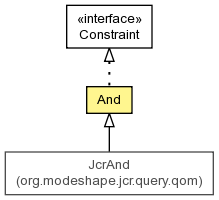 Get the constraint that is on the right-hand-side of the AND operation.